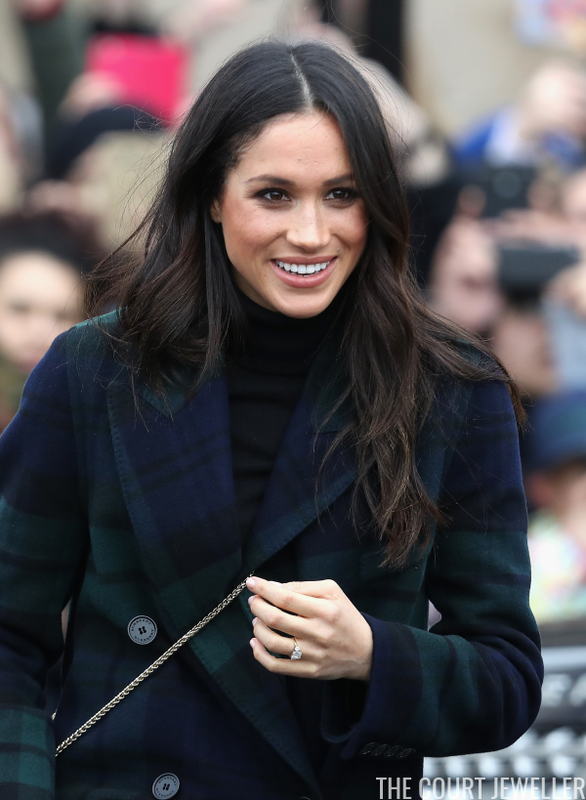 Meghan's sparkliest jewel of the day was undoubtedly her diamond engagement ring. 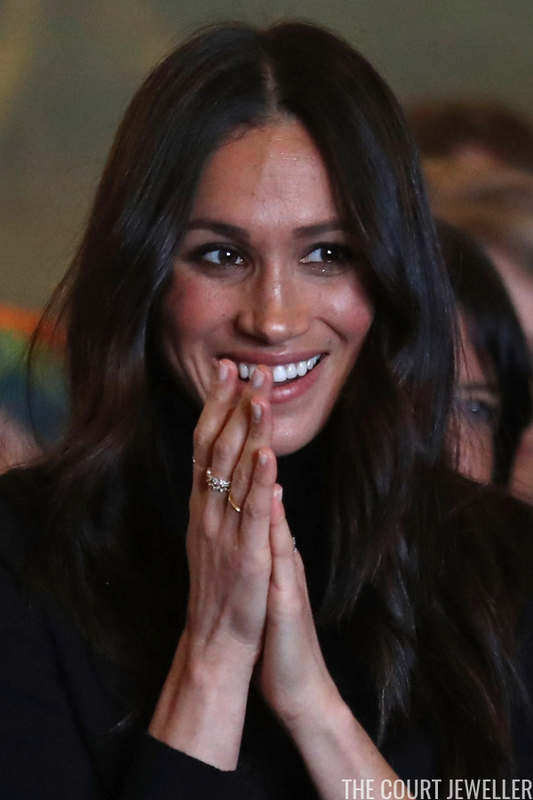 She also wore rings on her right hand, including glittering rings on her middle finger. 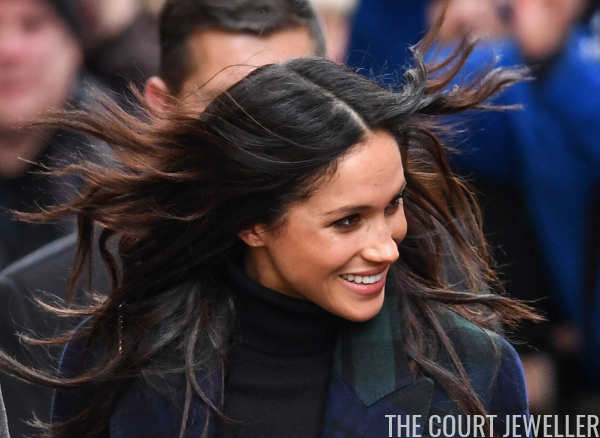 Meghan's hair covered her ears in many of the images from the day, but a few photographs showed that she chose not to wear earrings for the engagement, something that she also did recently for another engagement. If you had to pick a pair of earrings to accessorize this outfit, what would you chose? Speaking of the outfit, here's a look at the whole thing. 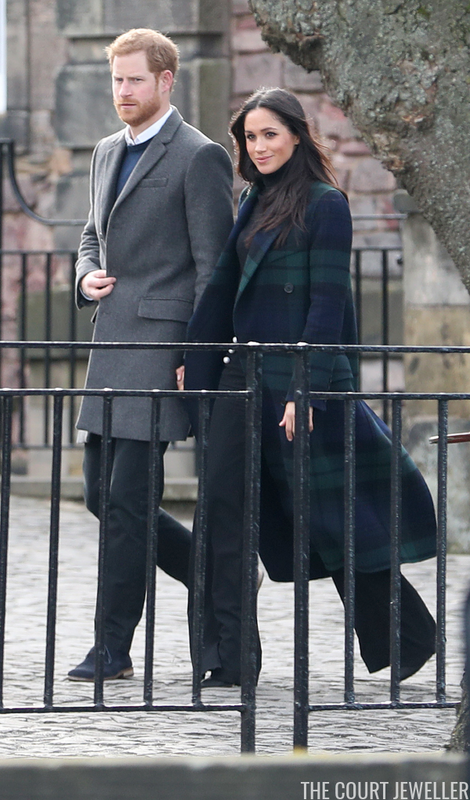 Two things to note: the black watch tartan coat, a clear nod to Scotland, and the pearly buttons on her trousers. 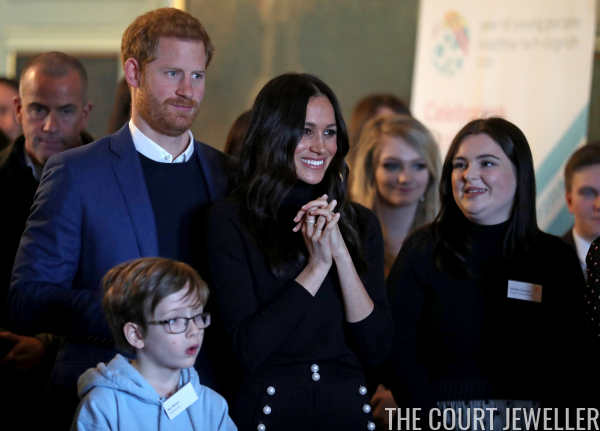 Would pearl earrings have coordinated nicely, or would they have been too obvious a choice?